The Kelvin live in a land called Fibulae which in the Kelvin language means The Land of Fire. Fibulae is a land of active volcanoes. There are rivers of flowing lava. Pools of steaming water and fierce geysers. In a land that few would want to visit the Kelvin have flourished. Their golden skin has developed a natural insulation against the ravages of extreme heat or cold. A Kelvin for example can hold molten lava in their hands and not be burned. Kelvin are short in stature on average about 5 feet tall and resemble the Dwarves pictured in many modern fantasy novels. Kelvin prize jewels and gold above all else. This is because a Kelvin's status and place in society is determined by the size of their treasure horde. Kelvin begin collecting and acquiring jewels after their rite of passage which occurs at the age of 32 years. In the rite, two Jewels from the parents' horde are placed on an island of rock in a molten lake of lava. 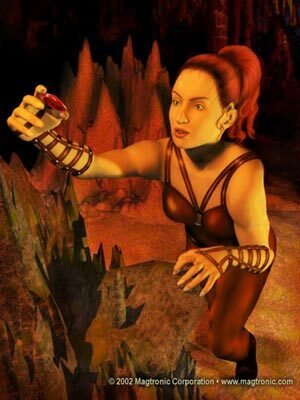 The young Kelvin must prove their worth by traversing the molten lava without any assistance and recovering the jewels. Once the rite of passage is completed the young Kelvin is given a name and is inducted into the local clan.